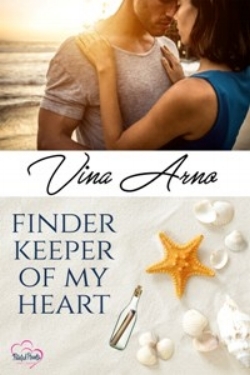 Emma believes she’s destined to love a man named Avery, thanks to a message in a bottle. When she gets lost in a Hawaiian jungle, the mysterious Avery Bell saves her. Could he be The One? Men ogled her during auditions and performances, but this one didn’t leer. He seemed to be contemplating her, like she was an upright jigsaw puzzle he needed to put together. Vina Arno is the pen name of Cindy Fazzi, a Filipino-American writer and former Associated Press reporter. She has worked as a journalist in the Philippines, Taiwan, and the United States. Her short stories have been published in Snake Nation Review, Copperfield Review, and SN Review. Finder Keeper of My Heart, published by Painted Hearts Publishing, is her second romance book. Her romance debut, In His Corner, was published by Lyrical Press in 2015. Her first literary novel, My MacArthur, will be published by the Sand Hill Review Press in 2018.